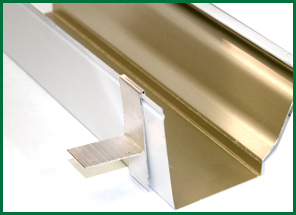 For 5 and 6 inch K style gutters with 1×2 and/or Trim Mold. 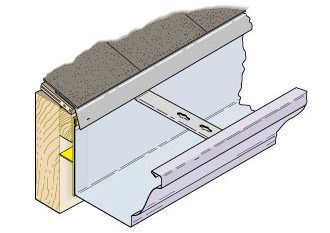 The T-wedge 4600 can correct the worst of sagging issues by fully supporting the back of the 5 or 6 inch gutter. 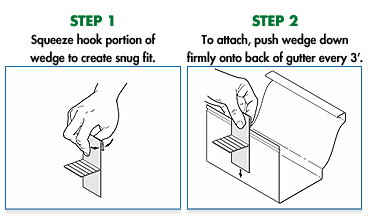 Uniquely designed for simple installation – requires no tools, just squeeze and push down. • Works with virtually all 5 and 6 inch gutters on the market. 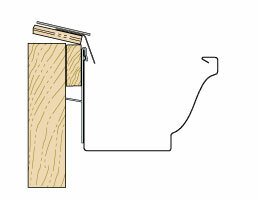 • Also see the 6600 1×2 Hanger T-Wedge.